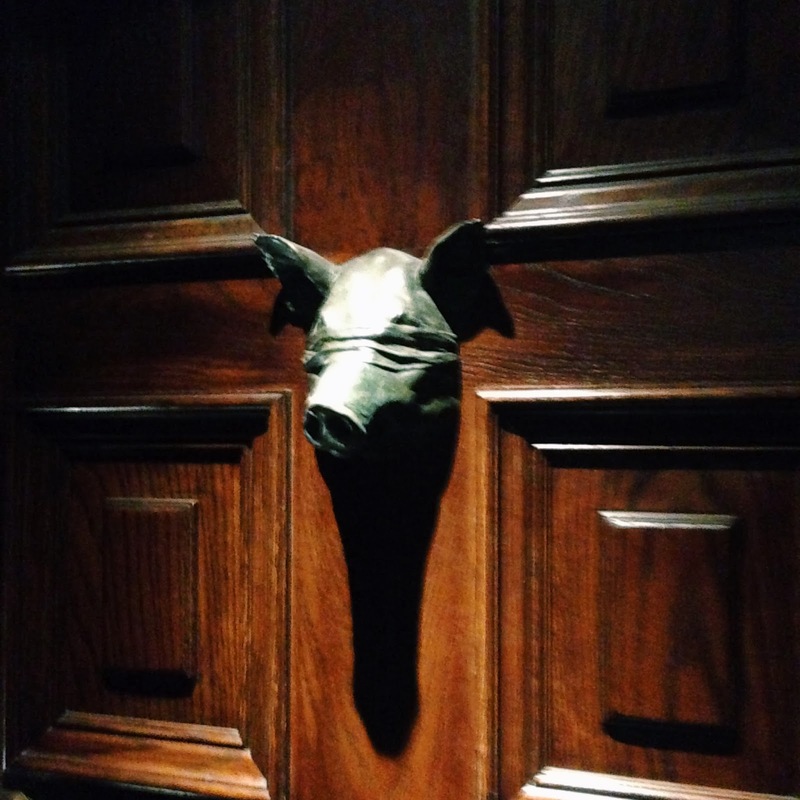 After one trip through this secret Soho doorway, you'll want to keep coming back for more. And then more. 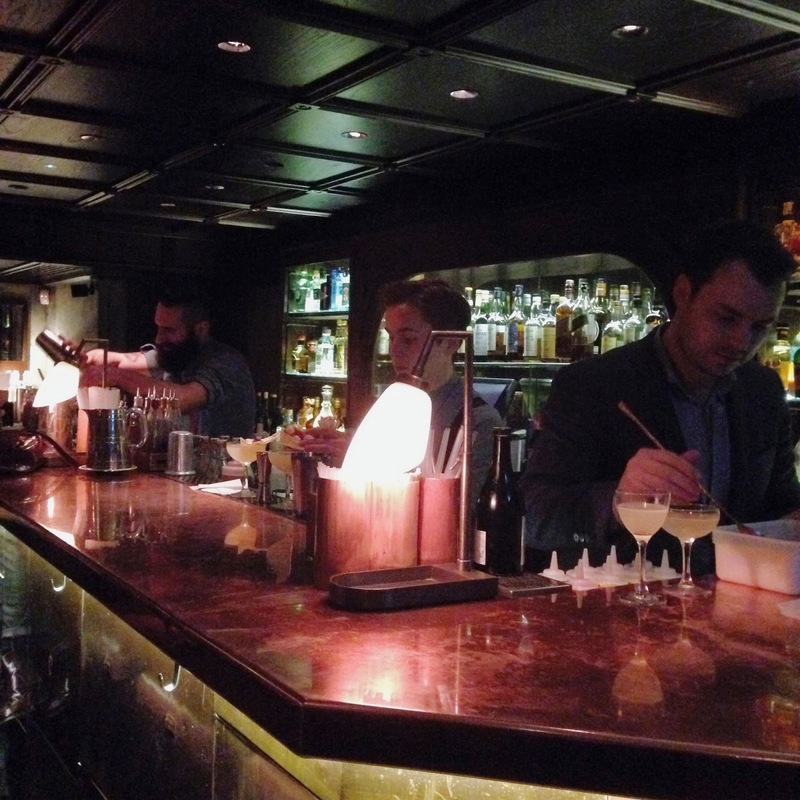 It's leathery, low ceilinged interior oozes gentlemanly charm and the cocktail menu is another thing entirely. 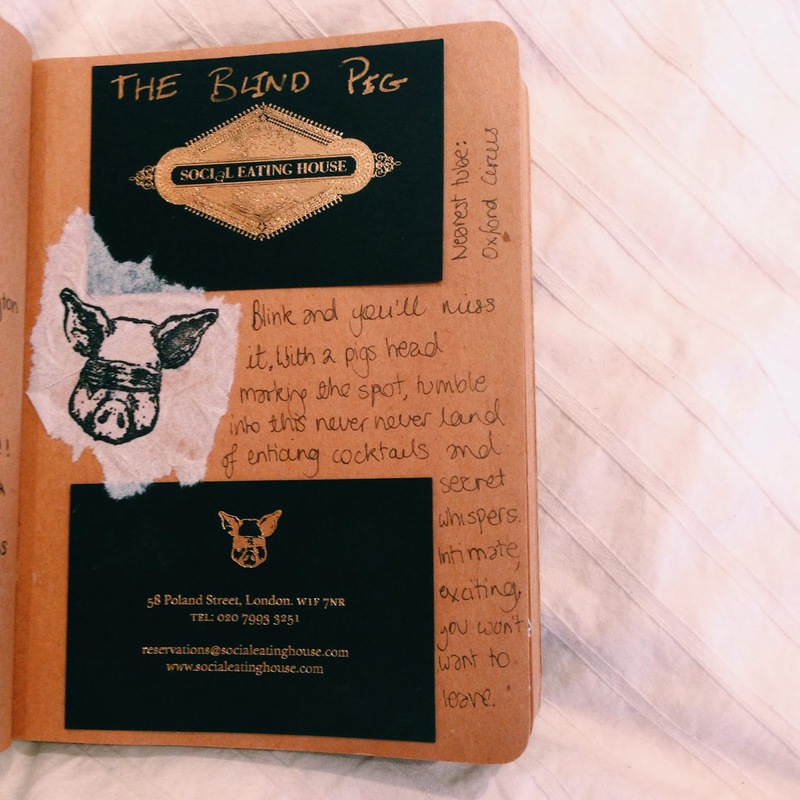 For all the chaps out there, add The Blind Pig to your woo-ing list. Keep your eyes peeled for this little fellow, he's very easy to miss and this is the door you will want to enter time and time again. Above The Social Eating House (next on my ever-extending list) is this wonderful cocktail bar where mixologists whip up creations in their shining apothecary. Just look at the concentration on their faces! The Cereal Killer was always going to be my first choice and with its tempting Galliano vanilla, my decision was made in a flash. 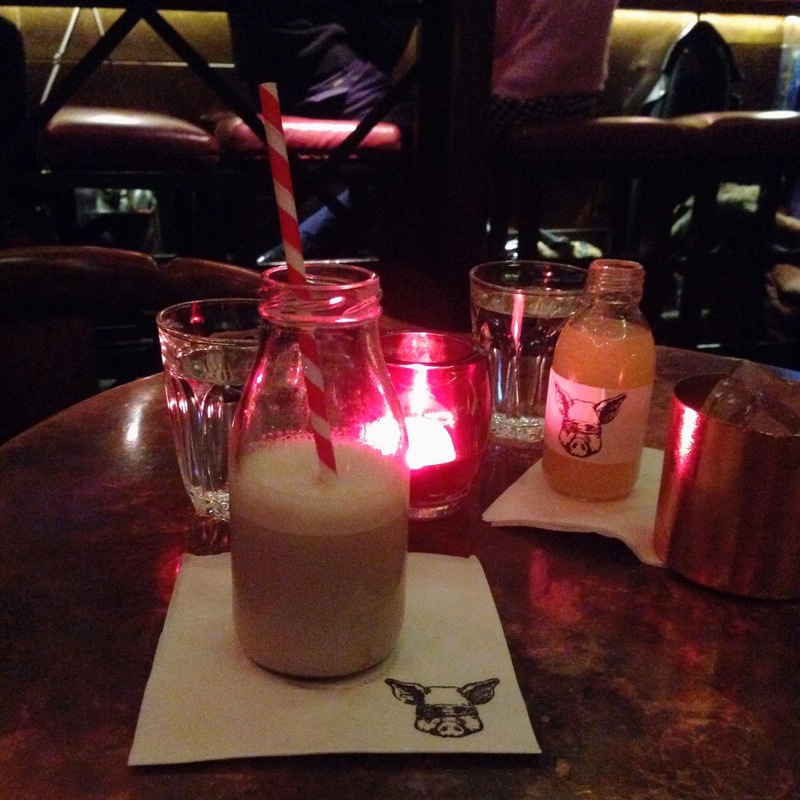 This one was a creamy concoction of rum, white chocolate, Galliano, coco pops milk, Xocolat bitters and perfectly presented in a miniature milk bottle fully equipped with stripy straw. Deeeelicious. 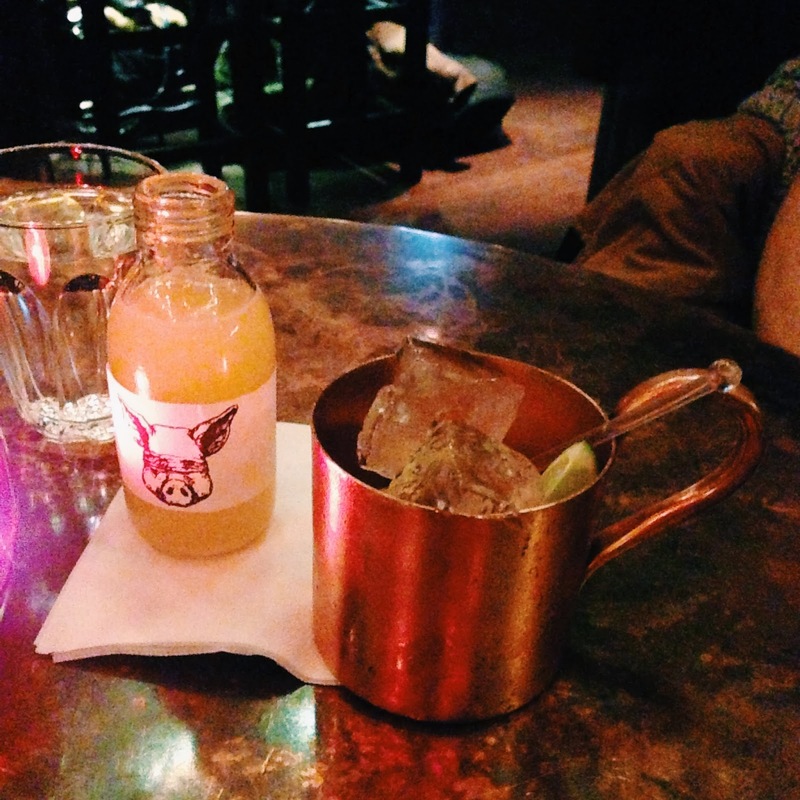 Below is the 58 Poland, a blend of vodka, lime, cardamon bitters with apple and ginger soda served in a shining copper cup. I'm off to purchase a copper cup of my own since it seems a necessity in my life now, along with the miniature milk bottles, the jam jars and all those other pieces of wonderfully pointless kitchenware. 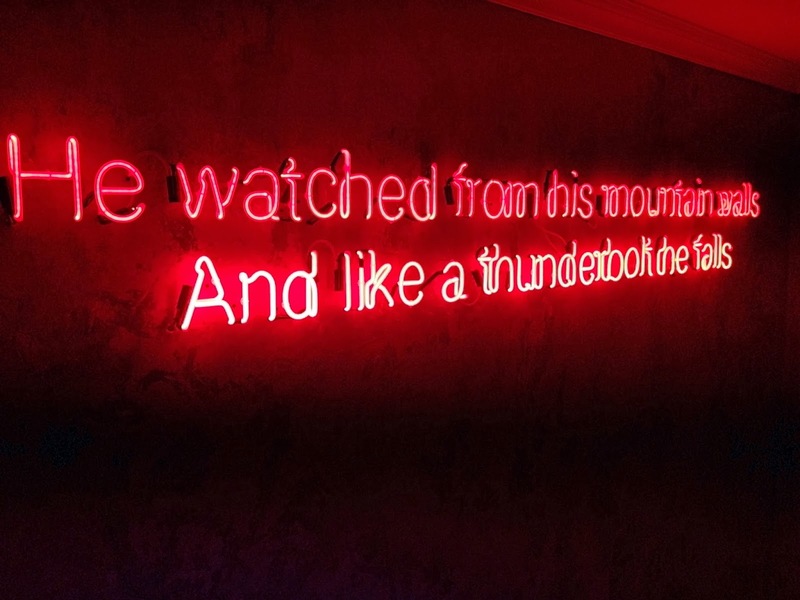 The Tennyson lighting up the walls in neon was fully appreciated as we descended the stairs. Anybody else get that smuggy 'I just won the crossword' feeling when they get the literary reference? (And yes, you totally can 'win' crosswords), anyway, this was no different and it just added to the already fully formed smile on my face as we left, vowing to return in the very near future. Dinner anyone?